JAY JAY has earned Gig Masters prestigious "Best of Award" for 7 consecutive years. JAY JAY was the number one booked Balloon Artist for Gig Masters in the USA in 2014. Jay Jay is an Arlington Heights, IL based, award winning Balloon Artist and Clown. He will appear as a CLOWN, or NOT as a CLOWN, "YOUR CHOICE." He is also a very funny magician and a face painter who draws quick simple designs to keep things moving. Make sure you "READ HIS REVIEWS" to see what others who have hired him have to say. He will help you plan your party by using his years of experience as a family entertainer. You can also use Jay Jay for corporate meet and greet events, picnics and parties, schools or daycare shows and Nursing Home shows. 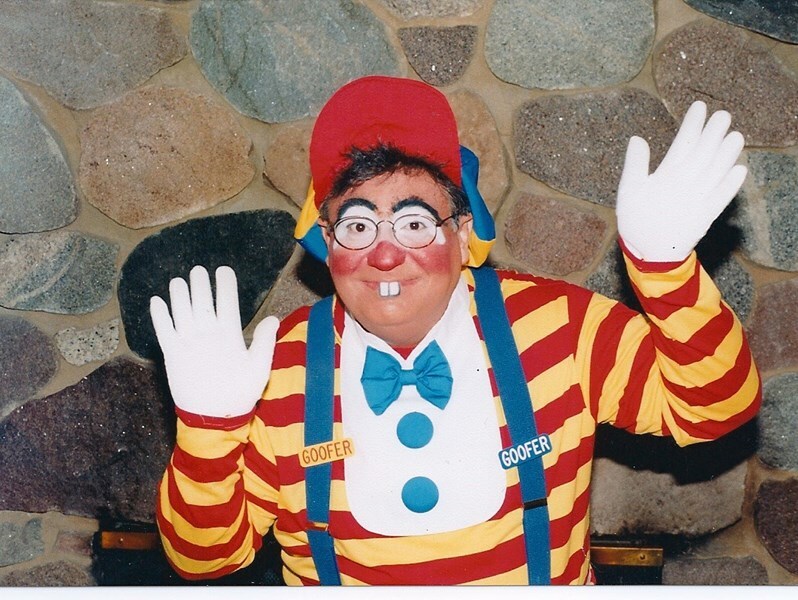 Jay Jay is a Midwest Clown Association Hall of Fame Inductee (1998) and a Midwest Clown Association Lifetime Achievement Award winner (2011). 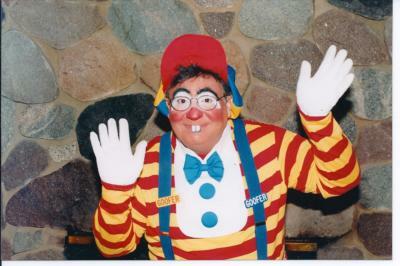 Jay Jay is a Past Chief Joey of the Midwest Clown Association (2002-2004). Jay Jay has been entertaining Children and Adults for over 25 years as a balloon artist, magician, face painter and clown. Jay Jay also makes hospital visits as Dr. Goofer. Don't forget to ask about his connection to the North Pole. Call now for party planning and pricing. Jay Jay really exceeded our expectations. He was very professional and kept in contact with me the whole time after we booked him. He arrived on time and even came a little bit later to the party as discussed last minute, so more people could arrive at the party. He is exceptional at making balloon animals. Everyone at the party was very impressed and he put on an entertaining magic show for the children and adults. I would definitely hire him again and recommend him to friends. Great personality with kids and adults alike and easy to arrange our block party for a late Sunday afternoon. We had around 15-20 kids who got their balloons and he still had time to do some face-painting and a magic show. We really appreciate how he livened up the event and was very professional throughout the process. Two hours seemed okay, but I do know one adult who would have gotten the face painting but just too busy, i.e. maybe we needed a little more time. I watched Jay, Jay with the kids as he would ask the kids "what's the magic word?" Please, they would answer back. Life lessons of politeness and such a kind demeanor. You're great Jay, Jay. Loved it! Jay Jay was a pleasure to work with! We hired him for my daughter's 2nd birthday and the kids and adults had fun with this magic show and balloon twisting skills. He's very prompt in returning calls/emails and was very accommodating to our needs. I would highly recommend him for your next party! Thanks for all the fun Jay Jay! You were a pleasure to work with!! Jayjay truly made the party! Made everyone laugh and totally kept the kids safety and happiness in mind! He was PHENOMENAL!! We could not have asked for a better entertainer then Jay Jay for our son's 1st Birthday Party. 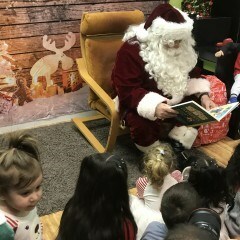 He was wonderful with the young children (and adults), very professional during the whole process and extremely talented with his balloon creations and creativity. We would highly recommend Jay Jay for any event! Jay Jay was perfect entertainment for my son’s 4th birthday. The kids loved his balloon twisting talent and they were engaged and truly enjoyed the magic show. AMAZING TALENT - Jay Jay is a wonderful clown! Our event hosted over 100 children and he was able to face paint and create cute baloon creatures for ALL of them within the alotted time frame. He was able to keep some of the more rambunctious children in line with a firm, but kind tone. His presentation was made complete by a wonderful interactive magic show that held the attention of both the children and parents alike. We definitely plan to have Jay Jay back next year and would highly recommend him for any event! Great! I'd hire JAY JAY again for a corporate or family function. I hired him to entertain (and be a great photo selfie drop) a group of 1000 adults, mostly male, at a corporate event. He was accommodating and funny. His balloon art was great. Thank you Jay Jay! The best clown ever! My 2 year old was not scared of him at all and all the kids enjoyed the balloon twisting! Jay Jay was great with kids they were comfortable to ask his what ever they wanted and he was so accommodating to the kids requests! I will be booking JAY Jay for another event! We were so please with jay jay for our 5 yr old's birthday party. The balloons were a huge hit and the magic was fun and entertaining. He really helped make our party a great success. He was prompt, responsive and receptive to our requests. Please note Jay Jay will also travel to Palatine, Rolling Meadows, Schaumburg, Mount Prospect, Prospect Heights, Wheeling, Buffalo Grove, Elk Grove Village, Carol Stream, Des Plaines, Hoffman Estates, Barrington, Itasca, Lincolnshire, Bensenville, Chicago, Deerfield, Glenview, Glenview Nas, Lake Zurich, Long Grove, Northbrook, Roselle, Wood Dale, Medinah, Niles, Park Ridge, Techny, Bloomingdale, Addison.